0. DO NOT PREVIEW YOUR SKINS ON A MUSE/RUMP SHAPE. They're cute shapes, yes. However they are absolutely HORRIBLE to use for making skins. The reason for this is because the stomach on both(Rump is the booty version of Muse) is very warped on these shapes and it distorts the skin completely. What may look great on the Muse shape may look totally weird and ugly on a normal shape. Muse pushes the navel downward and changes the entire look of the stomach. For example, the screen shots below show the differences between my Mirai shape, which I did not touch the middle seam on(where the top and bottom meshes meet at the waist), and the Muse shape. The red line marks the placement of the navel on a normal shape and continues over the Muse shape to show what it does to skins. Keep in mind, the same skin is being used on both shapes. Some people don't mind how the stomach looks on Muse, but a lot of people do. It's fine if you want to preview on Muse in ADDITION to another shape but I strongly recommend primarily using a normal shape (basically anything but Muse/Rump, haven't come across any others that warp the stomach like this) to preview your skins on. 1. SEAMS!!! GET RID OF THEM! Use the wireframe included in the skin templates you (hopefully) got from IMVU, and not purchased from another source.. (Sorry, but I am really against that. I am all for devs doing their own work though!). Anyway, if you use the wireframe map that should be the top layer in the template, you will see where all of the seams and where they line up. Try your best to match them up, don't just do random shading everywhere because you WILL end up with tons of seams, they just might not be so obvious without the right pose. 3. I just recently found this page by Keef with a simply AMAZING tool for skinners. Basically, you derive from that product, and you will have the main avatar in the middle where you can load other products onto it(including heads..etc..), and then two dummy avatars on the sides. One has the neck from the body(located between the legs on the map), and one has it from the neck on the head template, and with her eyes closed so you can see the makeup from that position. One is posed normally and the other has her arms and legs spread out so you can see where seams are and fix them. You'll have to look through the maps to find the ones for the skins, they are both titled m02 and m07 like on the regular skin file you derive from, but there might be multiples(I don't remember). When your skins are done, you do NOT submit that derived product(unless you want your customers to have two dummy avatars next to them!). You close it out and derive from the regular skin file(252 for females) like you would normally. 5. I also encourage you to preview your skin with the wireframe layer visible(even at 5% opacity) once in a while, to find seams and where they line up, because let's face it. 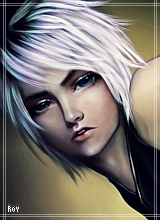 The avatar template here on IMVU is horrible. What works for me if I am looking for where a specific part of the avatar template lines up with another part, I'll make a new layer and draw two big bright red/blue/whatever color that doesn't blend with your skin tone, right onto those areas where I think they meet. Then I can preview it and adjust until I know where they are, and I can do what I want to do. 7. Don't just make minor edits to the default template and think you'll be safe from seams because it was made by IMVU, because unfortunately, you are wrong. Even the default ugly MCG skin by IMVU has seams, so pay attention to where they are so you can fix them. 9. The one thing that bothers me a lot about IMVU skins is that they all kind of tend to look the same in the end(even before file sales were the new thing to do.) If you think about it, so many IMVU skins stomachs just have the same basic "U" shape to them. Try for some more blending along the sides of the avatar, below her ribs, and make the stomach look like it's actually part of the skin, rather than drawn onto it. 10. Know which parts of the avatar template stretch, and how. Below I've written a helpful list of every part of the avatar that I know to stretch, and which way. Keep in mind, that the way I've written them is the way they stretch ON THE FLAT TEMPLATE. So if I say horizontal, it will be horizontally on the template, even if that part of the body is vertical on the actual avatar. Arms: horizontally stretched(you need to squish things horizontally that you do on the arms). Rib area, below armpits to hips: Squished horizontally. Anything you do will need to be STRETCHED horizontally to look right in this area. Upper back: This area STRETCHES horizontally. You will need to squish anything you do here. Edit: 13. Be careful of your layer blending modes! I thought I added this before but I don't think I did. Anyway, I'm not sure how many of you actually do your shading and highlighting in separate layers, I know a lot of you just use dodge and burn. But I like to do separate layers for mine, so I can adjust them as I need and not ruin the rest of the skin. My point with this being, if you do use separate layers, here is my suggestion: Use the same color as the base of the skin for both. Your shade and highlight will come with layer blending modes(normal, multiply, screen...etc.). When setting your layer to multiply, you will need to desaturate the layer by about 30-50 points, depending on the color of the skin. Multiply increases the contrast, which in turn increases the saturation and gives it that orangy look. If you desaturate it a bit, it will keep the natural tone. And of course, adjust your opacity so it blends well instead of looking like a giant hard shadow. For screen, this one is tricky. You will need to adjust the hue by about -20(at least.. this is to make it more pinkish), because for whatever reason, screen tends to make things look peachy/orangy. You will also need to jack up the saturation a bit, but not too much(set your layer to screen and THEN make your adjustments). And of course, your opacity as well. You can definitely tell the difference from the left to the right. The right one was with the saturation and hue adjustments for the multiply and screened layers(both using the same color as the ball without shading or highlights). The left is just plain multiply and screen, with no adjustments. The one on the right with the adjustments looks much more natural than the one on the left, which looks a bit over-saturated and orangy. I said this in old help indexes of mine, and then people started relaying the info as their own, so you probably already know it by now but I will say it once more in case you don't! NEVER EVER EVER leave your tattoo layers at 100% opacity. I always said 70% was a good opacity to use, so it is slightly faded and looks more like a tattoo rather than a sticker. I'm adding some more to this though: Depending on the color of the skin, you should use between 40% and 80% opacity. Less opaque for super pale skins, more opaque for darker skins. Also, if it is a lot of solid black work, you need to use even less opacity. Black is a very dark powerful color when it comes to tattoos on IMVU and they can be ruined very easily by being too dark on a light colored skin. If the tattoo you're using has a ton of detail on a white or supposed-to-be-white background, set the blending mode to multiply and it will get rid of the white but keep the detail of the tattoo. If you still have a dark box around your tattoo layer, hike up the brightness and contrast until it is gone. [22/7/2010] Edit2: Really utilize the previewer and template. By that I mean, really understand that you are working on a flat image that is manipulated, warped and stretched around a 3d object. Understand that just because something looks great on your flat image, it may not look so great on the template due to an uneven surface. Like I said above, don't be afraid to preview your skin with the wireframe map visible(at 5-10% opacity). It's there to show you where everything ends up once it's on the avatar mesh. Don't be afraid to look at the wireframe in on the 3d avatar and sort of "map out" where you want to put things. Take a screen shot, put a dot where you want something, find that spot on your template using the wireframe map for reference and work on it. Something might look totally weird or like crap on the template but then look great in the previewer. Don't be afraid to do something weird on your template, because it's not the template that matters it's how it looks on the avatar in the previewer. It's hard to stress how much this matters because I think most people won't bother previewing something that looks awkward on the template. Like, I think most people don't REALLY understand angles and different view points on a flat image as opposed to a 3d object. People are used to a flat image having one viewpoint: straight. And if it doesn't look good from that viewpoint, it doesn't look good at all and you really need to erase that mentality! I think people tend to draw something on the template to look exactly how they want it to look on the avatar from a front viewpoint, but get frustrated when it doesn't look the same in 3d. You need to draw it from all angles at once, if that makes any sense at all. I can't really think of any good examples that would be easy to understand, but if I do I'll post one. xD But basically remember that it's an image being wrapped around something. Remember that you might have to obscure your shading for it to end up in the right spot on the avatar instead of drawing it in relation to a specific viewpoint. Okay that's also a bit confusing but yeah.. Maybe some of you get what I mean? Re: Scarling's Helpful Skin Tips!! Really helpful guide. When I started out, I did take the time to make ears...but I neglected hands and arms a bit. I would often screw up the seams and get frustrated. Sometimes I followed the wire maps I got to fix things and then I put on a different shirt and things did not line up at all. I am actually a bit frusterated how devs change the base maps for skins when they mesh. Not even just shifting the belly button low..but changing it entirely so that torsos no longer match legs and the arm seams are a nightmare. Does it mean like taking a picture of your stomach (or friend's...asking for such things can be weird sometimes XD) and then pasting it on and editing? Buying commercial licenses for stock photos is usually insanely pricey...I have seen some go for around $60-$200 easy. (and some are only limited to 3 years use.) So I would not recommend using stock sources.